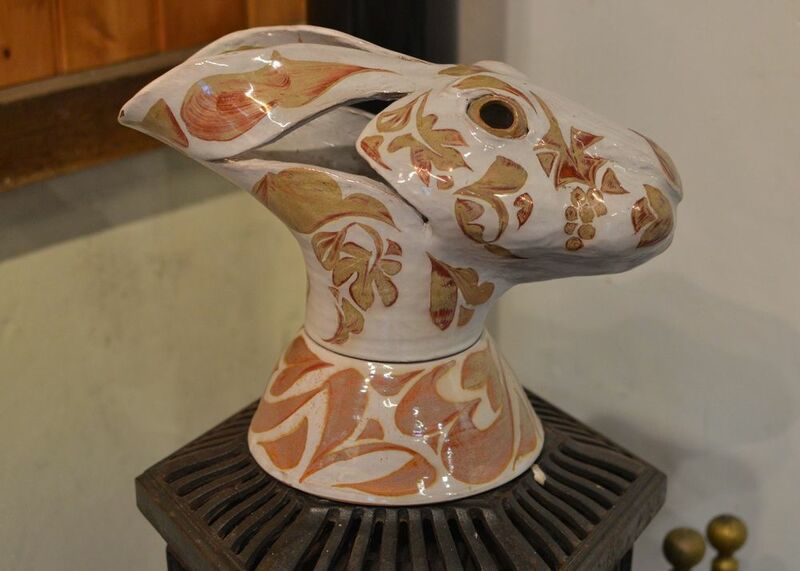 Andrew studied ceramics at the Epsom School of Art and Design for three years and after graduating in 1984, worked for a short period with the slipware potter Mary Wondrausch. Then for the next nine years he worked with the team of potters lead by Alan Caiger-Smith at the Aldermaston Pottery in Berkshire, learning the technique of tin glaze earthenware and reduction fired lustre, making and painting Aldermaston designs. And regularly packing and firing the wood fired kiln. The Aldermaston Pottery closed in 1993 and Andrew became self- employed, continuing to work with Alan Caiger-Smith until 2006 when he established the Yarnton Pottery in Oxfordshire in the old blacksmith workshop opposite the thatched house where the blacksmith once lived. Tin oxide has been used as a whitener in glazes since ninth century Persia and lustreware also has its roots in this period. These two techniques travelled through Spain and the rest of Europe becoming popular in England around the eighteenth century. Andrew fires a gas and electric kiln with a glaze temperature of 1080 degrees centigrade. He uses a blend of Italian Duruta and a Spencroft clay, and paints the oxides onto the tin glaze in the maiolica tradition. Andrew is now also producing reduction fired lustreware. Using silver and copper paste this technique needs a reduction of oxygen during the firing to create the iridescent surface .